Members of the National Leisure group of companies were joined by many representatives from the pool industry, as they attended the recent funeral of Pools and Garden’s Derek Harrigan, 88. A much-loved father and grandfather, Derek founded and ran Pools and Gardens from the family’s Worcestershire farm since 1973, moulding the company into one of the oldest and most respected swimming pool companies in the UK. 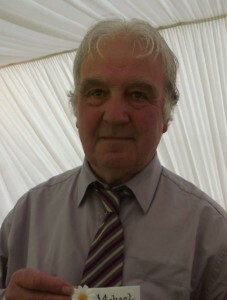 Known for his energy and dedicated hard work, Derek was a founder member of National Leisure in 1989, holding the post of chairman for several years. Rob Bateman, of Rio Pools, spoke on behalf of many of Derek’s friends in the industry. “I am sure some of you have fond memories of his wicked sense of humour and the way he loved to wind people up,” said Rob. “You have so much around you to keep Derek’s memory alive,” Rob told Derek’s wife, Jan, his daughters Jo and Jane and other family members. 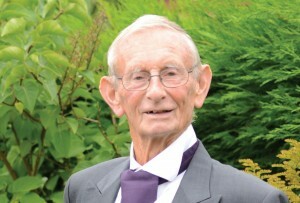 Also in the Midlands, Merlin Pools Mike Ames, recently lost a brave battle with motor neurone disease. Mike’s early childhood years were spent in a Dr Barnado’s Children’s Home. He was later fostered by a loving family who gave him a wonderful start in life. Mike’s company, Merlin Swimming Pools, is celebrating 40 years of successful trade, four decades in which Mike supported by his wife, Vicky, built up a strong customer and supplier base, including the council, high profile clients, and international organisations, many of whom regarded as friends. Mike considered himself lucky enough to employ successful and loyal members of staff, in particular Jean Smith. Merlin Leisure Pools continues to trade as Mike’s daughter Sophy takes the reins to continue his legacy. Mike also leaves a son, Mark and daughter, Hilary.